NIC-7210PF-SFP is researched and developed based on Intel 82545EB solution. It can be used in single-mode and multi-mode fiber networks. 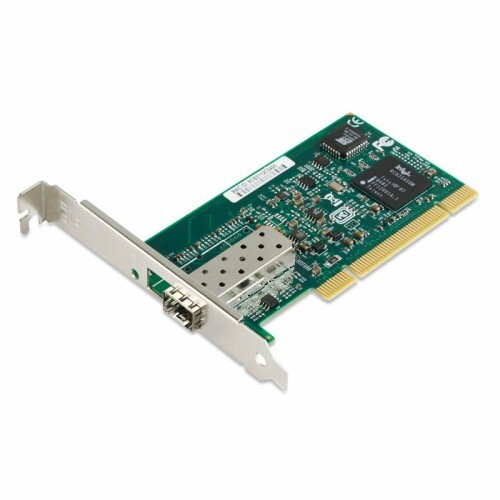 NIC-7210PF-SFP PCI Gigabit fiber card support boot-rom. PCI interface delivers high throughput while conserving CPU resources. With a flexible design that fits almost any type of PCI bus, the standards-based management features and wide network operating system support help to ensure extensive compatibility with the latest server and networking environments. Its widely used in Great Hall of the People, CSIC, AVIC and other large state enterprises and institutions, government, financial, etc. Cable Distance: 550m at 62.5 um or 50um, 10km at 9um.